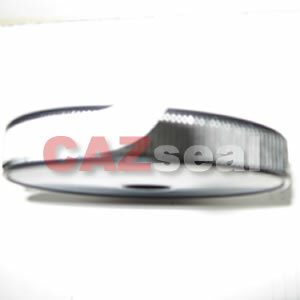 CAZseal offer you various packing and gasket materials. 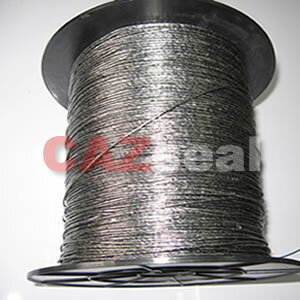 Pure Expanded graphite tape for making Spiral wound gasket. 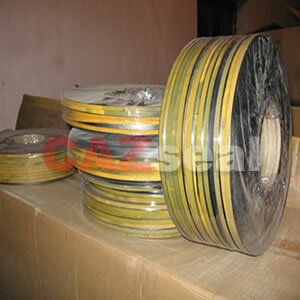 C>=98%; Tensile strength>=4.2Mpa; Density: 1.0g/cm3; Asbestos or non-asbestos tape for SWG are also available. Designed for use as packing, just with wrapping tape to stem or shaft, and then stuffing, endless packing can be formed. It is easily installed for small diameter valves, and can also be used for emergencies when spare packings are not available. Style TA440K is With corrosion inhibitor. For braided packing CAZ 250. Pure PTFE yarn without oil, Grade A,B,C can satisfy different demands. Normal Grade B & C is for core yarn. For braided packing CAZ 250L. 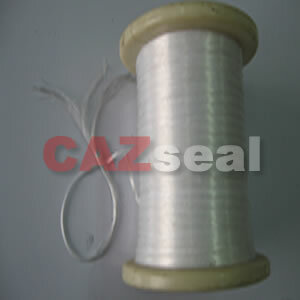 Pure PTFE yarn with oil, Grade A,B,C can satisfy different demands. Normal Grade B & C is for core yarn. 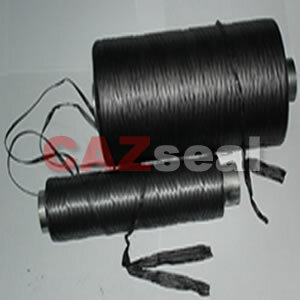 For braided packing CAZ 252. 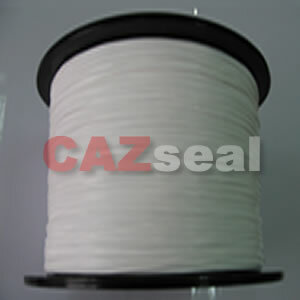 Multiple PTFE filament yarn. Y252P---impregnated with PTFE. 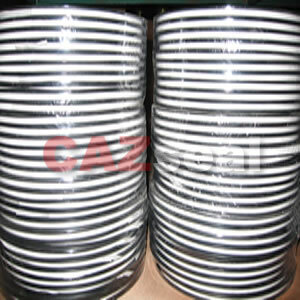 For braided packing CAZ 254. Graphited PTFE yarn without oil. Grade A,B,C can satisfy different demands. Normal Grade B & C is for core yarn. Y254L is graphited PTFE with oil. 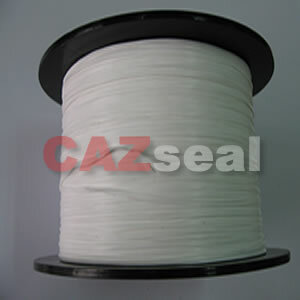 For braided packing CAZ 254S Sandwich graphited PTFE packing. 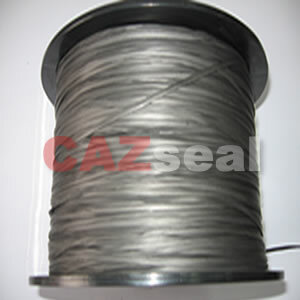 Graphited PTFE with graphite sandwich, Chinese "CGFO"
For braided packing CAZ 240. Made of flexible graphite reinforced with cotton, glass fiber, polyester fiber, carbon fiber etc.